We think the Rhône Valley is the most exciting wine region in France; from the majesty of Côte-Rôtie in the north to the warmth and generosity of Châteauneuf-du-Pape in the south, there are wines to satisfy all tastes and we'd like to share them with you.. Unlike traditional tours, ours are flexible - a choice of six different day-long private tours covering both the famous classics and the undiscovered regions, with bespoke tours also available on request. Just tell us what you want to do and when you want to do it. It's as simple as that! We pick you up from where you are staying and drop you off again at the end of your day's tour. And because the tour is organised just for you, with no big groups, you have the full attention of your English-speaking driver/guide and you really get to meet the people who run the wine estates and make the wine (don’t worry, we can translate). All you need do is relax, taste and have a good time. Click here to find out more about our tours. What could be better than touring Rhône wine country? 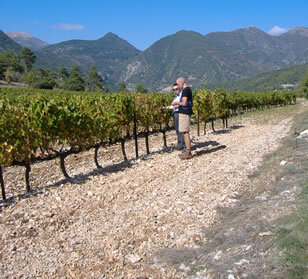 Perhaps having Rhône wine country come to you! 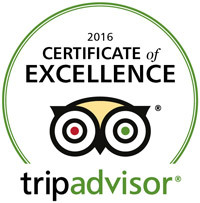 Our tours are great – or so you tell us (and Tripadvisor!) – but the Rhône valley is long. Even we can’t manage to be in the Châteauneuf-du-Pape and Condrieu during the same day. So we came up with an answer that means you can taste all of the regions greatest wines, from north to south, in one tasting without having to leave the comfort of your holiday accommodation. You provide the space - the living room in your gîte or holiday villa, the poolside terrace, even your hotel suite if your hosts agree - and we come to you with everything else from the presenter and the glasses through to a selection of artisan cheeses and charcuterie, not forgetting, of course, a range of beautiful Rhône wines. We even clean up afterwards. There's no easier way to taste the wines of so many great regions. Click here for more information about our tastings. The 2018 wine holidays were a rip-roaring success so our advice would be to move quickly if you want to reserve your place on one of the 2019 holidays (after all, the group is limited to a maximum of eight people). Just think, a five night all-inclusive holiday exploring the beautiful south of France…with fantastic wine! Click here for more information about the all-inclusive holidays.